Welcome to "My Song". It's Saturday night, long about 2140 hrs local. 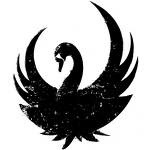 Ever noted, on my sidebar, right under the Swan?.. That's right-- I'm a Thistle and Seamroc BUFF. Never miss it if there's choice. The best of the Keltic [there is NO 'soft' "c" in gaelic. No such thing as a 'selt'. "Celt"= KELT.] music world, usually seasonally attuned. In H-town, we get Fiona Ritchie's hour-long program-- produced Edinburgh, Scotland-- piped in at 2100 hrs local. Tonight. Welcome to the weekend. Time for MUSIC (is there ever NOT a time?!?). AH YEEAAHH... Oft hard to find a solid, upbeat Irish tune. This 'un, though, serves to fit the bill! ET ECH!!! [windshield-wiper's forefinger in the air]!!! Don't cheat yourself and bug out early! If you must, drag bar to just inside 3 minutes, and await... If'n y'miss the Dance of the Firbolg, y'won't fergive yerself!!! Glad you finally got through, Ken! Glad you enjoyed it.. Thanks for the tunes brother, loved it. You're going to love this! I was listening to my cd this afternoon that has this very song on it! It really brightened my mood (and said mood was very, very low..) and I found myself doing Cat's Irish dance moves around the kitchen! Thank you, my sweet friend, for sharing this! Tis most definitely a sign for me! Lady E! Well, the button-pressing is me favorite off-blogger passtime! LOL! 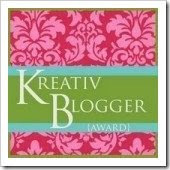 Well, mayhap oft on blog, too... but no one picks up.. hehehe! Well, Dawn m'fave Lassie... THAT makes it all right under sun, moon AND stars!! !